This archive holds all posts from March 2017. 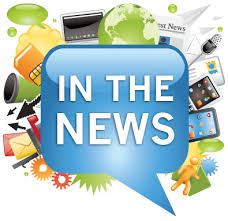 Reprinted with gracious permission of the Science & Technology Division newsletter and the author, Carola F. Berger, who retains rights to the article. A few months ago, I discovered, thanks to Google Alerts, that a fraudulent website was using my business name and excerpts of my copyrighted website content without my permission to advertise their dishonest services. My business name, which was used on the aforementioned site without my permission, has been registered in the State of California, United States of America, since 2010. The illegal use of copyrighted excerpts from my website violates the U.S. Digital Millennium Copyright Act. On the same page, a highly unethical academic paper writing service was advertised; that is, a website was advertised, where students could pay for somebody else to write their term papers or other homework for them. This practice is not only unethical but also constitutes fraud. I had absolutely nothing to do with these academic paper writing services or that website. The site has been taken offline a few weeks ago and has been offline ever since. Here is the timeline of the actions I took, which led to this positive outcome and which may help you if you are ever in a similar situation. If I hadn’t set up several Google Alerts to inform me whenever my name or my business name appears on a new site online, I would never have known about the impostors. I wrote a blog post about how to do that here. I posted an alert immediately after the discovery of the fraudulent website, in which I disassociated myself and my business from the website and all its activities. If I had had the slightest suspicion that the impostors could contact my existing clients or solicit new clients under my name outside of that website, I would have also proactively contacted my existing clients and posted another alert/disclaimer on all my public and semi-private social media and professional accounts. Unfortunately, this step proved to be quite difficult, because the real host of the website was hidden under several layers of anonymized entities. I began by looking at the internet registry information, which you can find via any Whois domain service, for example http://centralops.net/co/DomainDossier.aspx. The domain and the network whois record indicated that this particular website was registered in Panama. Unfortunately, contacting the registrar (see step 3) proved not to be very useful, because they claimed they were only responsible for registering the domain name, not for the content. I was referred to another entity in China, which also claimed not to be responsible for the content. However, the domain name registrar was helpful enough to suggest to run a ping traceroute, which gave me the domain name and the IP address of the entity that actually hosted the content on their servers. One such service is http://ping.eu/traceroute. The last entry of the route is the IP address and domain name of the server that I was looking for. With this information, I went back into the Whois domain lookup and got the record of the actual host. The host is supposedly based in Canada, but the IP address of the server is actually located in Utah, USA, as an IP location service such as https://www.iplocation.net revealed. Now I had enough legal ammunition to take action. After peeling back all the layers of the onion, I sent a very official sounding cease and desist email to the aforementioned hosting service. Actually, I had sent cease and desist letters to all the involved parties/layers, but although I received nearly immediate responses, they just referred me to the next layer. But when I sent a cease and desist letter to the hosting service, the site was taken down the very next day, although I never received a response from the hosting service! Regarding the content of the cease and desist letter, I looked up a template online for the proper legal phrases. I mentioned that my business name, which was used fraudulently, is registered in the State of California (since 2010), and that the content of my website, which was used without my permission, is copyrighted. More on that below. I was prepared to take further action, but luckily, this was not necessary. According to US Copyright law, all work is under copyright the moment it is created and fixed in a tangible form, without actually having to register for a copyright. Aside from the standard “All rights reserved” disclaimer on my website, I also use a WordPress plugin to take snapshots of the content that I deem worthy of copyright. This serves as “fixing it in a tangible form,” as required under the US copyright law quoted above. There are many such plugins available. If the site had not been taken down, I was prepared to send a takedown notice according to the US Digital Millennium Copyright Act to the service provider that was hosting the offending site. The steps to send a DCMA takedown notice are described here. Luckily, this was not necessary. All is well that ends well. I want to thank my colleagues who helped me peel back the layers of this fraudulent onion. I hope that I can help other people in a similar situation by sharing this experience. I also hope that potential criminals will be sufficiently deterred from trying something similar in the future. 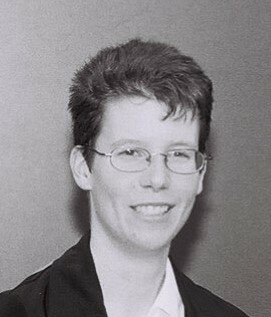 Carola F. Berger, PhD is an ATA-certified English-into-German patent translator with a PhD in physics and a Master’s degree in engineering physics. 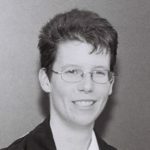 She has written a series of blog posts about scams in the translation industry as well as an article in The ATA Chronicle in 2014, which is still very relevant today. Evidently, the scammers in the story above messed with the wrong translator! For more information please see: Carola’s website (http://www.CFBtranslations.com) and the S&TD website (http://www.ata-divisions.org/S_TD/). 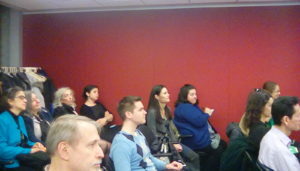 The February meeting was well attended. It had quite a few nonmembers, who were quite impressed by both the speaker and the NYCT. Mr. Hahn started with a day at the U.N. as an interpreter. No day is typical. 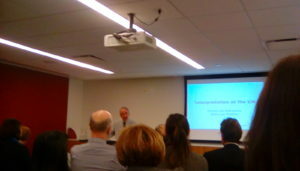 He discussed his work as a verbatim reporter, which was beneficial to his future interpreting work. It taught him all the “jargon” necessary for the work. He explained that all interpreters interpret into their mother tongue only. Most work is simultaneous. 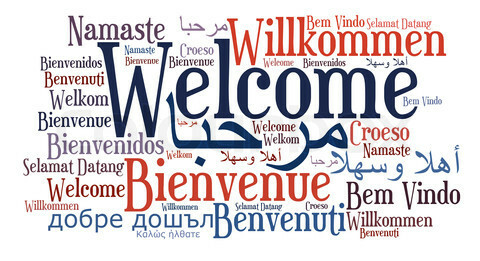 There are six official languages: Arabic, Chinese, English, French, Russian and Spanish. If say a Chinese ambassador is giving a speech in Chinese, then the interpreters in the Chinese booth will render the speech into English or French. Then the interpreters in the other booths interpret the speech into their respective languages. Hours are 10-1 and 3-6. Interpreters work in 20 minute shifts. Sometimes they must stay late until a meeting ends. They may also be called in case of emergency meetings, even on the weekend. There is no choice on the schedule. Interpreters work 7 1\2 days per week. Interpreters work for: General Assembly, Security Council, Economic & Development. Unfortunately, speeches are not given in advance. A point to bear in mind is that not everyone is a good speaker, many speeches are read. The speed of the speech or the rate at which a diplomat is reading can make interpreting a challenge. Video examples of a couple of different speakers were shown to demonstrate the differences in speakers. Some are easier to interpret for than others. Tone and register is also important. Some are engaging, other speakers can make it a bit harder to stay awake. Sometimes the accent or dialect can be difficult to decipher. There 193 member states. It has become usual for Meeting Chairmen to limit diplomats to 4 minutes – causing many to rush an entire speech into 4 minutes. This is a disservice to everyone, both interpreters, the audience and even the diplomat giving the speech. After some anecdotes, Nahum discussed the upcoming interpreter examination. Work experience, required languages were covered. He then took questions from the membership. Voting for the 2017 Election for the National Council on Interpreting in Health Care (NCIHC) is under way! All votes must be submitted before 5:00 PM Central on April 6, 2017. 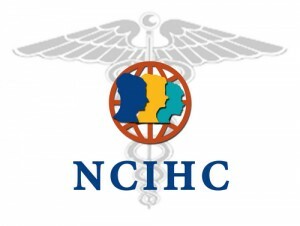 If you have any problems/questions, please contact: elections@ncihc.org. All NYCT members who are also NCIHC members are encouraged to vote. 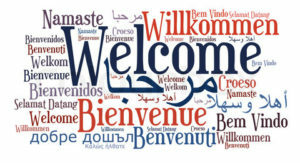 Seventy volunteers who speak 25 languages have formed the new international Translation Outreach Network to publicize–and of course, translate–the stories of those traveling to the United States who are barred or detained for hours on the basis of their nationality or name. The network’s members include translators, scholars, journalists, activists and writers. They will translate stories of up to 2,000 words and help disseminate them.